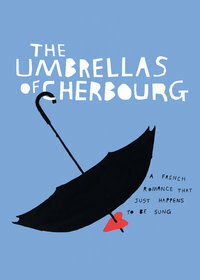 ‘A French romance that just happens to be sung’ is the subtitle to Kneehigh’s adaptation of the 1964 film The Umbrellas of Cherbourg which has arrived at the Gielgud Theatre, following their hugely successful take on Brief Encounter a couple of years ago. The story is boy meets girl, they fall in love but he gets called to national service in Algeria, but she is…well, I can’t give it all away, but it is a nicely mature look at the ebb and flow of love and romance which rarely runs as smoothly as we would all like. 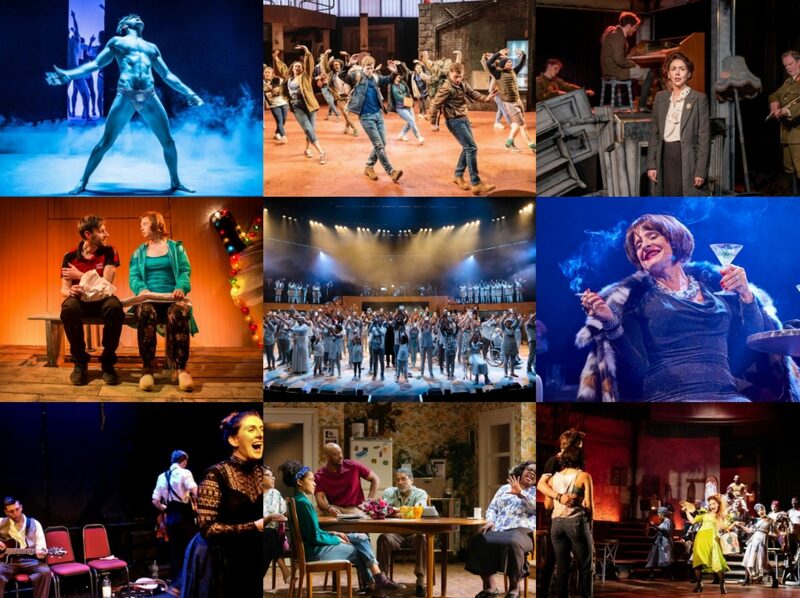 Perhaps predictably, the show is full of Kneehigh-isms, the tricks and stagecraft for which they have become so well-known, but perhaps with diminishing returns in this instance. We have finger-walking people, freaky puppet children, sailors carrying people around when they want to go somewhere, a man (badly) dragged up as the elderly aunt, a swish-looking video wall: all are professionally done, but hardly any of them feel genuinely part of the fabric of the show, an integral part of the story-telling and so consequently the feeling is often of ‘we know how to do it, so we will’. The video wall is really effective in the way it is employed but it is for the briefest of moments only and I couldn’t help wonder if the focus shouldn’t have been more on keeping the ticket prices down. There were strong performances onstage, Joanna Riding’s umbrella-purveyoring mother and Cynthia Erivo’s compassionate carer being glorious to listen to. And Meow Meow’s turn as compère Maîtresse, with her warm sending-up of all things French and indeed the musical format, is a great touch at trying to break down any initial reluctance there might be to surrendering to the world of a French through-sung musical. Plus her rendition of Sans Toi, borrowed from the film Cléo de 5 à 7 is as close to a show-stealer as anything in here, a wonderful moment of pensive magic. Carly Bawden’s Geneviève and Andrew Durand’s Guy play the young lovers with a nice fresh-faced sweetness and though they never quite scale the heights of le grand amour that might make for a greater poignancy, although this fits into the show’s grander message in the end, if one thinks about it. In the end, if I’m honest though, The Umbrellas of Cherbourg left me feeling quite ambivalent. I didn’t really enjoy the first half too much though it had definitely begun to win me over by the time we reached the finale and a fun finale of Di-Gue-Ding-Ding. The band play flawlessly under Nigel Lilley’s musical direction but the undulating score as all the dialogue is sung doesn’t allow for enough variation of emotion to really engage with these characters and their travails and the overall effect is ultimately just too gentle. Combined with the very arch presentation on display here, it all sadly meant I never felt like being swept away into another world by this show.